A woman from Portland, Oregon has a weird, unusual, and infuriating story to tell about how a “slots malfunction” cost her $8.5 million. Veronica Castillo is not a regular gambler, but she decided to try her luck at the Lucky Eagle Casino in Rochester, Washington. She found a great game to play, Jurassic Riches, she had played for a while when the best thing that any player will want to see and hear, bells, lights, and whistles started going off. This is when Castillo looked at her balance continue to rise, and it kept going until it got to over $8.5 million. As many would be, she was overjoyed at the prospect of becoming a millionaire in just a short while; she even started recording the great accomplishment. This was short lived, however, as the casino personnel came up to her and told her to stop recording. She is not taking this lying down, as she is getting an attorney to help battle this. Castillo would like to receive the money, as anyone would, but she said that she also does not want this to happen to someone else. So far there has been no statement from the Lucky Eagle, nor the Washington State Gaming Commission. Machines break down, but when it is something as heavily regulated as gaming, there is already a system to avoid these problems. This sets a bad precedent, seeing as how less and less people are playing these games, this would simply turn them away faster. 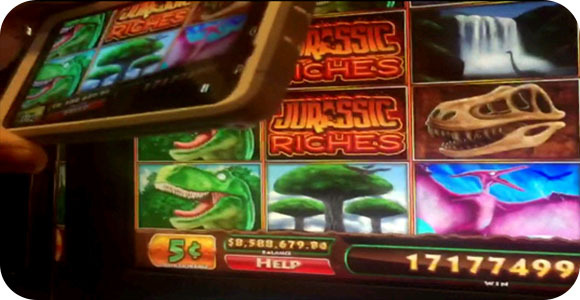 This is why online slots are becoming more popular, less likely to get the “it was malfunctioning” excuse.